What's more, Lightly is a complete philosophy of life. When you're tempted by an impulse purchase, trying to resist a chocolate donut, or struggling to say no to another obligation, all you have to remember is one word - "lightly" - to boost your resolve and make beautiful choices. It doesn't get any easier than that. 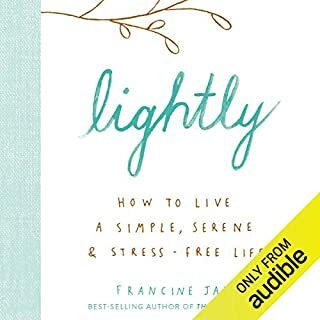 Lightly is like a recipe book for minimalism, designed so you can dip into it anytime for advice and inspiration. 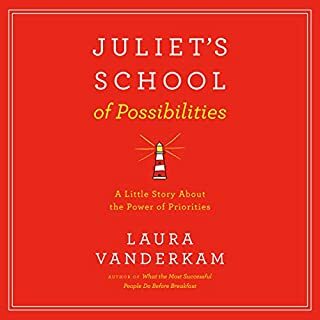 A charming, life-changing fable that will help you rethink your whole approach to time, priorities, and possibilities. Figuring explores the complexities of love and the human search for truth and meaning through the interconnected lives of several historical figures across four centuries - beginning with the astronomer Johannes Kepler, who discovered the laws of planetary motion, and ending with the marine biologist and author Rachel Carson, who catalyzed the environmental movement. From renowned classicist Edith Hall, Aristotle's Way is an examination of one of history's greatest philosophers, showing us how to lead happy, fulfilled, and meaningful lives. Balancing work and family life is a constant struggle, especially for women with children and ambitious career goals. It's been the subject of countless books, articles, blog posts, and tweets in the last few years, and passions run high in all directions. At the verge of turning 40, Peter Sagal - brainiac Harvard grad, short, bald Jew with a disposition toward heft, and a sedentary star of public radio - started running seriously. And much to his own surprise, he kept going, faster and further, running 14 marathons and logging tens of thousands of miles on roads, sidewalks, paths, and trails all over the US and the world, including the 2013 Boston Marathon, where he crossed the finish line moments before the bombings. 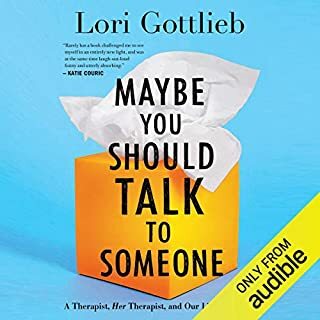 First running book I actually enjoyed! 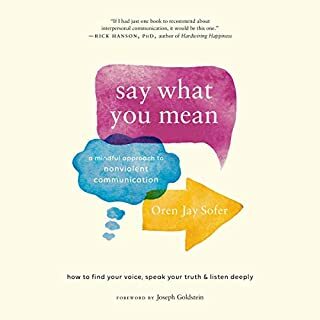 From those who are the masters of their craft (Eudora Welty, Lynn Fontanne, Penelope Fitzgerald, Marie Curie) to those who were recognized in a burst of acclaim (Lorraine Hansberry, Zadie Smith)...from Clara Schumann and Shirley Jackson, carving out small amounts of time from family life, to Isadora Duncan and Agnes Martin, rejecting the demands of domesticity, Currey shows us the large and small (and abiding) choices these women made - and continue to make - for their art: Isak Dinesen, "I promised the Devil my soul, and in return he promised me that everything I was going to experience would be turned into tales," Dinesen subsisting on oysters and champagne but also amphetamines, which gave her the overdrive she required...and the rituals (daily and otherwise) that guide these artists: Isabel Allende starting a new book only on January 8...Hilary Mantel taking a shower to combat writers' block ("I am the cleanest person I know")...Tallulah Bankhead coping with her three phobias (hating to go to bed, hating to get up, and hating to be alone), which, could she "mute them", would make her life "as slick as a sonnet, but as dull as ditch water"...Lillian Hellman chain-smoking three packs of cigarettes and drinking 20 cups of coffee a day - and, after milking the cow and cleaning the barn, writing out of "elation, depression, hope" ("That is the exact order. Hope sets in toward nightfall. That's when you tell yourself that you're going to be better the next time, so help you God. ")...Diane Arbus, doing what "gnaws at" her...Colette, locked in her writing room by her first husband, Henry Gauthier-Villars (nom de plume: Willy) and not being "let out" until completing her daily quota (she wrote five pages a day and threw away the fifth). Colette later said, "A prison is one of the best workshops"...Jessye Norman disdaining routines or rituals of any kind, seeing them as "a crutch"...and Octavia Butler writing every day no matter what ("screw inspiration"). 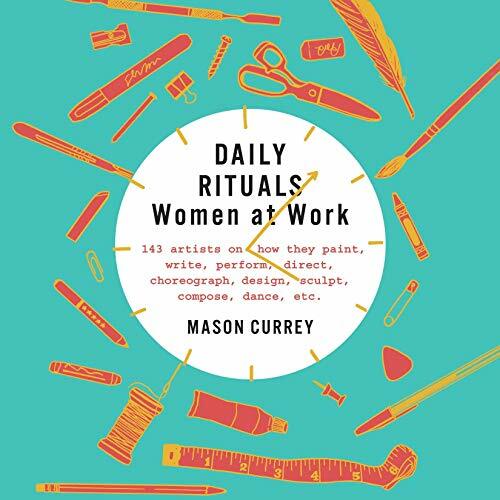 Germaine de Staël, Elizabeth Barrett Browning, George Eliot, Edith Wharton, Virginia Woolf, Edna Ferber, Doris Lessing, Pina Bausch, Frida Kahlo, Marguerite Duras, Helen Frankenthaler, Patti Smith, and 131 more - on their daily routines, superstitions, fears, eating (and drinking) habits, and other finely (and not so finely) calibrated rituals that help summon up willpower and self-discipline, keeping themselves afloat with optimism and fight as they create (and avoid creating) their creations. 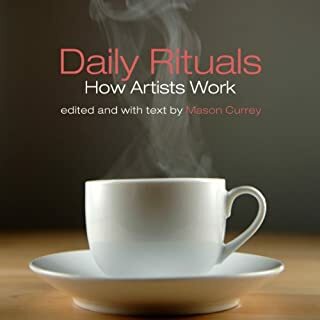 I was stoked to see another book by Mason Currey pop up on Audible this last week, especially since I’ve listened to his first installment of Daily Rituals a few times—for inspiration AND reassurance that not all creatives are geniuses day by day. 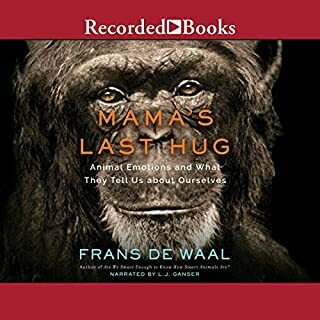 This one didn’t disappoint at all, and offered much more of the insights seen in book 1. Will be listening again and I hope he puts out another in a few years!